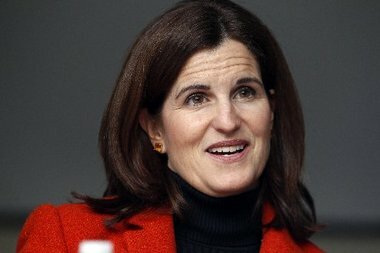 As the two-year mark to Hurricane Sandy’s landfall on the East Coast approaches, the charity launched by New Jersey First Lady Mary Pat Christie in the days after the storm is gearing up to hand out its remaining money. The Hurricane Sandy New Jersey Relief Fund has so far awarded nearly 85 percent of the $40 million donated from more than 30,000 corporations and individuals, including $2.5 million from the fuel company Hess and a $1 million contribution from Jon Bon Jovi and his band. Joann Squeo leans up against the gray aluminum siding of the Keansburg home she grew up in, the home where she raised her kids, the home she was forced out of by superstorm Sandy and the home that she quite reasonably wondered if it was slipping out of her grasp forever. “There’s a lot of memories here. … I wouldn’t know where to go,” she said in the backyard of her Forest Avenue home last month. For the last 20 months, she was never more than a few miles from the house — living in area hotels at first, then back into the unfinished home and now a rental house in another section of Keansburg — but it might as well have been across the country. For the longest time, Squeo, 56, who lives with two adult children and her longtime partner, didn’t know where to turn for help. The Squeos spent every penny they had, and then racked up considerable credit card debt. They were victimized by the well-meaning and the malicious alike and rejected by the Reconstruction, Rehabilitation, Elevation and Mitigation program (RREM) on what the family says was a technicality. LONG BRANCH – There were plenty of things Sheilah Proctor didn’t expect in the immediate aftermath of superstorm Sandy. She didn’t expect the home that’s been in her family for 40 years would be inundated with about 5 feet of water and mud and would be uninhabitable for more than a year. And she didn’t think that businesses would take such advantage of her family’s plight — one charging 10 times the actual cost to do the electrical work needed for the home. “I thought people would be a little more honest,” she said. It wasn’t until Proctor met “an angel God sent” that her family — her mother, Pearl; brother, Phillip; and her young children — was able to finally get back home last month. 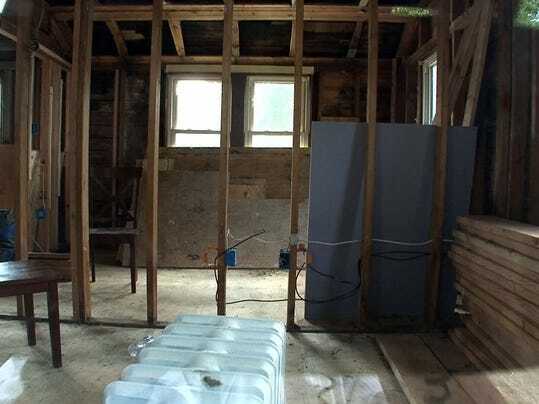 LONG BRANCH — Russell Woods walked through the barren interior of his still-unfinished Long Branch home, pointing out where the bedrooms and bathrooms will be when work is complete. It’s been more than 18 months since Hurricane Sandy flooded the Pacific Street property that Woods, a supervisor for UPS, and his wife, April, an EMT, said they scraped together enough money to buy by surviving on hot dogs and peanut butter sandwiches about seven years ago. Jill Bessey is from Maine, and she was surprised to learn how many people along the Jersey shore are still waiting for their homes to be rebuilt 18 months after Hurricane Sandy. As co-chair of the TD Bank Volunteer Committee, she suggested volunteering at a home site as a community service activity. For two days this month, she and about a dozen TD employees from the Mount Laurel Tech Center helped build a deck at Sarah Huff’s newly raised home in Brigantine. “There are so many people not in their homes,” she said. “We just wanted to help out.” Read More! There may still be rubble on the ground in Union Beach and Sea Bright, but this week the night skies are going to glimmer festively in the recovering towns. The two boroughs will glow with epic holiday fireworks displays, big shows that are actually sparking concerns about traffic and crowd control. Tonight, thousands of shells will be launched from a barge near the Driftwood Beach Club in Sea Bright, creating a fantasia of sparkling lights on the water for a charity fundraiser. Although spectators must purchase tickets to watch at the Driftwood, the patriotic pyrotechnics can be viewed for free at the public beach and other spots around town. “This is either the first or second largest show in New Jersey for the holiday week,” said August Santore of Garden State Fireworks, a company that has produced hundreds of shows, including KaBoom, a Fourth of July fete in Red Bank that was discontinued last year. County-based organizations are weaving together a safety net to help storm victims who have exhausted their financial options yet still find themselves short on what they need to recover from Hurricane Sandy. The long-term recovery committees established in New Jersey at the recommendation of the Federal Emergency Management Agency aim to plug the holes in funding not filled by insurance settlements, federal grants and other resources. Once the size of those gaps are clear, the recovery groups — funded, in part, with money from the Hurricane Sandy New Jersey Relief Fund — hope to fill them. For a week at a time, dozens of volunteers assisting with disaster relief along the Jersey Shore call the second floor of the Point Pleasant Presbyterian Church’s education annex home. With a grant from the Hurricane Sandy New Jersey Relief Fund, church officials hope to make that space a bit more comfortable. 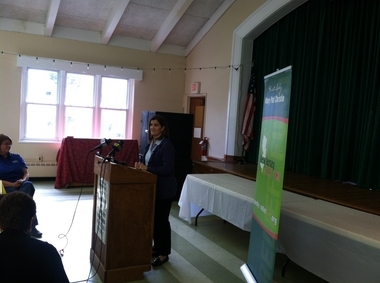 The charity, which is chaired by First Lady Mary Pat Christie, awarded the church $31,300 to help renovate the bathrooms, among other upgrades, in a round of grants distributed earlier this month. The Rev. Carl Wilton led Christie on a tour today of the church’s facilities, which can sleep up to 36 volunteers on bunk beds.